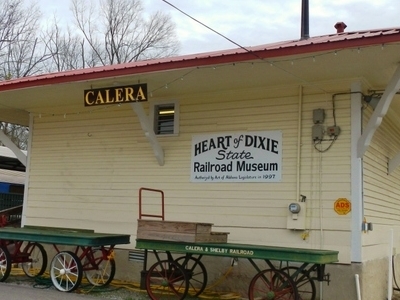 The Heart of Dixie Railroad Museum (initialised HDRM, reporting mark CSMX) is the official state railroad museum of Alabama. Dedicated to the preservation, restoration, and operation of historically significant railway equipment, the museum is located at 1919 Ninth Street, Calera, Alabama, on I-65 approximately 30 miles (48 km) south of Birmingham.The museum features a wide range of locomotives, cars and other railroad equipment that dates from the 19th century to the 1950s and operates regularly scheduled excursions with museum equipment over the museum’s track. It also features two depots that are approximately 100 years old, including a privately owned dinner train. 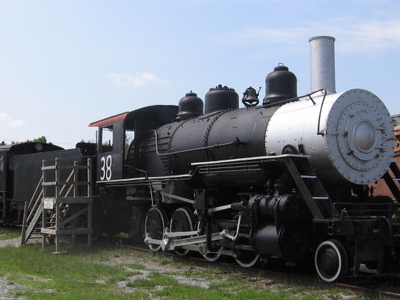 The museum operates a heritage railroad that offers two excursion trains every Saturday from March - December. It also operates excursions on special dates such as Halloween and Christmas. The standard gauge train operates with a diesel locomotive on a 5.5-mile (8.9 km) section of former Louisville and Nashville Railroad track. The museum offers visitors the opportunity to ride in the cab of the locomotive and in a caboose in addition to the enclosed and open-air passenger cars. Additionally, the museum operates a two foot gauge live steam engine locomotive and passenger cars on a one-quarter-mile long loop. This train served the nearby Birmingham Zoo for many years before being placed into operation at the museum. Among the museum’s collection are two heavy-duty rail mounted cranes used in construction and wreck-clearing duty. Additionally, the museum has several railcars that once belonged to the United States Air Force Strategic Air Command which were to be used as part of the Peacekeeper Intercontinental Ballistic Missile program which planned the rail-based deployment of such missiles. The museum includes two former community railway stations in its collection. The former Wilton, Alabama depot, now signed for Calera, houses many railroad artifact displays and serves as the station for excursion trains. The former Woodlawn, Alabama depot houses the Boone Library of railroad books, slides, photographs and other research materials. 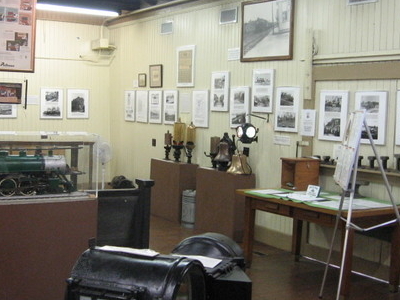 The Calera depot houses a collection of railroad artifact displays focusing on the history of railroads in Alabama. Exhibits include railway lanterns, locomotive headlights, rail cross sections, and passenger train China and silver ware. The Boone Library in the Woodlawn deport and adjacent railcar contains print and other media as well as an extensive collection of old maps, track diagrams, timetables, technical manuals, etc. for public research use. Here's the our members favorite photos of "Museums in Calera". Upload your photo of Heart Of Dixie Railroad Museum!